Europol’s annual photo competition has been encouraging law enforcement colleagues across the EU and beyond to share their photographic highlights with us since its launch in 2009. Entries come from a wide variety of law enforcement agencies, such as police, customs, border guards and security services, and each year a growing number of talented photographers submit striking and artistic images from their work places. A selection of these images can be seen in Europol publications, most notably Making Europe safer, and on display at Europol headquarters in The Hague. The competition is open to professional and amateur photographers working for law enforcement agencies and law enforcement magazines in EU countries and those with Europol Agreements. This has brought remarkable entries from as far afield as Australia and Colombia, in addition to more familiar European law enforcement scenes. 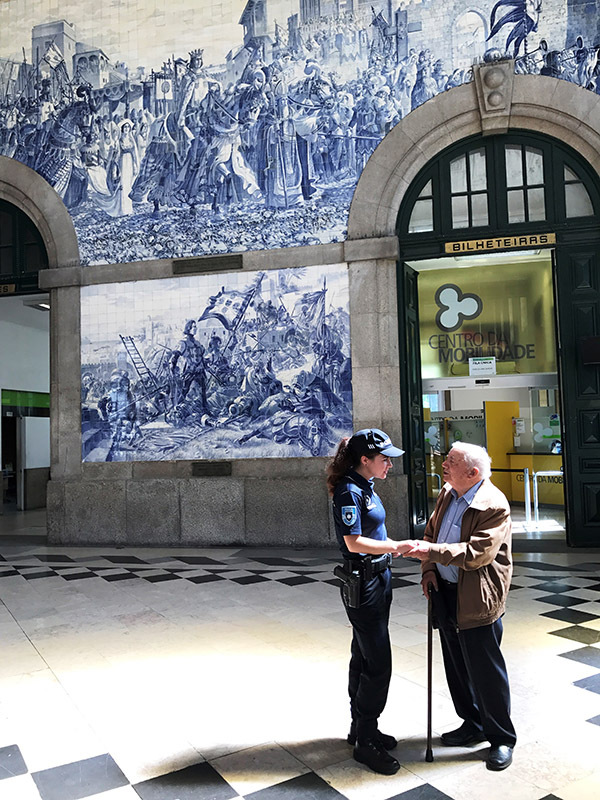 The first prize is awarded to João Moura from Portugal, whose spontaneous shot taken at São Bento train station in Porto, Portugal, portrays community policing for the elderly. The second prize is awarded to Jiří Fejkl from the Czech Republic. 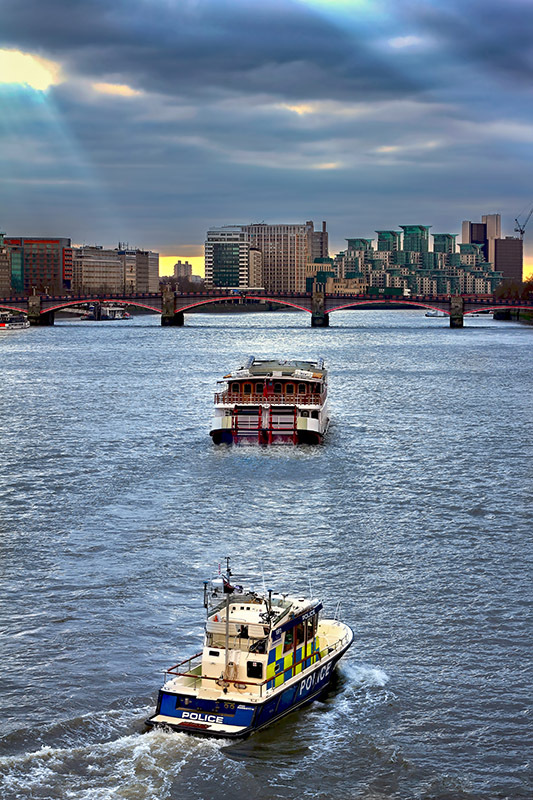 The photo was taken in January 2011 while visiting London and shows a British police vessel patrolling on the river Thames. 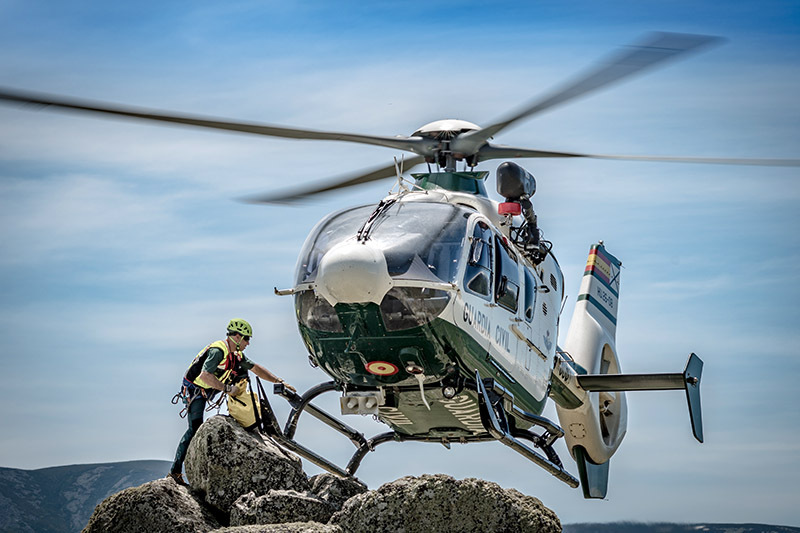 Daniel Ruiz from Spain is the third winner of this year’s photo competition, whose shot features a training session of the Mountain Rescue and Intervention Group (GREIM) of the Spanish Guardia Civil. Europol’s annual photo competition runs in the summer each year. If you are interested in the next competition, and would like to be notified of its launch, please register.